Karl is the creator and author of DiscipleTown - a series on the "How To's" of the Christian faith. It covers 24 skills every fully devoted disciple of Jesus Christ needs to have for victorious living. It is published by DiscipleLand. 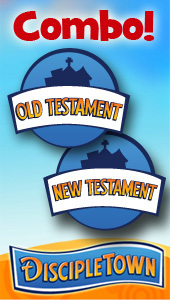 Take a look at the DiscipleTown Curriculum Map, as well as read detailed Unit Overviews. As an adoptive dad, Karl wrote Apdopted to explore Bible characters that were adopted, from Moses to Jesus. The theme of this lesson is based on Ephesians 1:5: "His unchanging plan has always been to adopt us into His own family by bringing us to Himself through Jesus Christ. And this gave Him great pleasure." 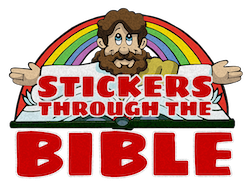 Curriculum not listed in detail such as these for Easter and Thanksgiving and a Christmas Play. 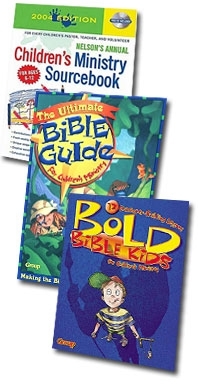 As well as various Kid's Church individual units available in the Kidology Store and many games such as the Bible Clue Hunts. If Children's Ministry leadership was a construction site, you'd want the sharpest, time-tested tools recommended by a veteran who had worked on a wide variety of projects. Equip yourself with the tools you need to build a ministry that will last! 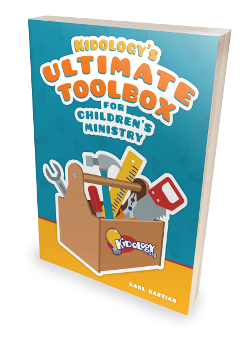 In addition to the helpful tools in this 336 page book, Karl has added over 40 bonus downloadable PDF forms and videos to sharpen your ministry skills. This 50-page eBook is available FREE to Kidology Premium Members. As its core are time-tested principles of children's ministry rooted in Scripture, which match up with the weekly realities of children's ministry as experienced by those in the trenches week in and week out. What’s a boy to do when he learns that his beloved ant hill, hidden in a secret hide out, will soon be destroyed to make room for a new shopping center? When all human attempts to save them fail, there is only one thing left to do. Become an ant and warn them in person! This wonderful parable makes the concept of the incarnation understandable to children perhaps for the first time! Beautifully illustrated, this delightful story will have kids and parents turning each page and smiling as they discover the parallels to the true story of the One who gave up everything to warn those He loved and to prepare a better place for us in His Father’s House. 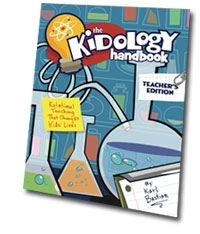 The Kidology Handbook: Teacher's Edition has been a blueprint for an effective teaching ministry for over ten years... and now it has gotten even better! 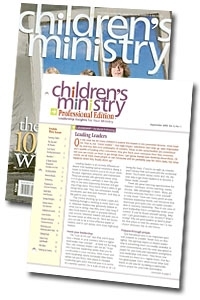 Learn the "Kidology Method" of relational ministry, in addition to insightful instruction on preparing & teaching lessons, sharing the Gospel, shepherding kids, classroom discipline, and more. This revised and expanded comprehensive ministry manual features a bonus audiobook version. 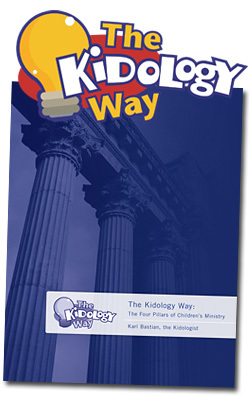 Two years in development, this rewrite of the classic Kidology Kids Church Book has been been enhanced and expanded. Featuring 7 individual training installments, each with a companion instructional video, The Kids Church Cookbook equips you to create children's church services that kids love. 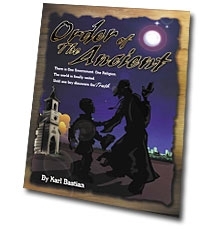 Order of the Ancient is a novel for kids, inspired by epic tales enjoyed since childhood, possessing the adventure that will engage today's middle to upper elementary children. Containing elements of the great stories of old -- good vs. evil, ancient tradition, young heroes mentored by wiser sages, supernatural powers and miracles, mystery, and great battles -- Order of the Ancient allows kids to imitate the characters, resulting in their ongoing practice of the Spiritual Disciplines. 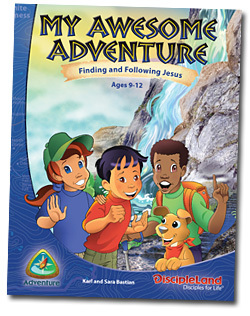 My Awesome Adventure: Finding and Following Jesus curriculum was written by Karl Bastian and his wife Sara. 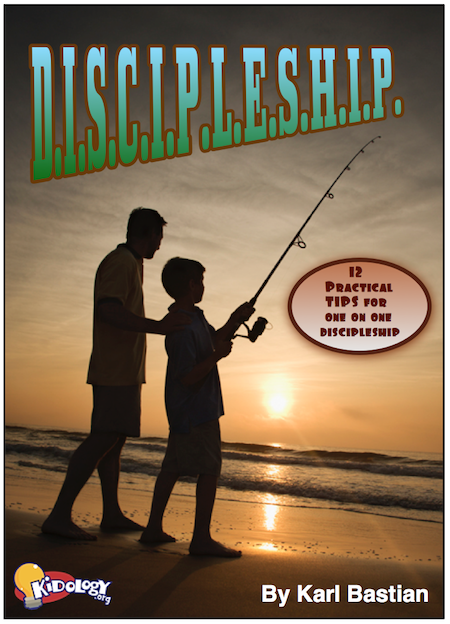 This collection of 12 basic discipleship lessons is ideal for small groups or one-on-one discipleship. Kidology's founder, Karl Bastian, has been an advocate of discipleship since his girlfriend's dad challenged him in college to become an intentional discipler of others. Rev. David Yount's discipleship Bible study guide had been used to disciple thousands on the mission field. 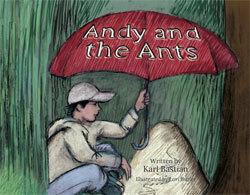 Karl married his daughter and together they wrote Awesome Adventure, a discipleship workbook for children. Many of Karl's disciples are now in ministry or serving in the local church. The power of one-on-one discipleship is life changing. Taking years of countless hours of one on one discipleship experience, Karl has compiled 12 Practical Tips for One on One Discipleship. If you desire to become a discipler, or want to be more effective in the mentoring relationships you currently have, this new book will challenge, inspire and offer practical tips to make you a great discipler! This eBook is a Kidology Premium Member exclusive! To download, be sure you are logged in and click here to access the book. 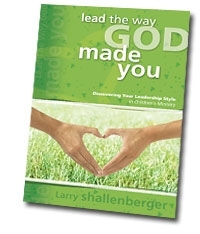 Karl is featured as one leadership model in Group Publishing's Lead the Way God Made You: Discovering Your Leadership Style in Children's Ministry by Larry Shallenberger. This practical guide helps you discover your personal leadership style so you can maximize your strengths. Feel more comfortable and confident in your leadership role, and make a lasting difference with your colleagues, volunteers, and parents. 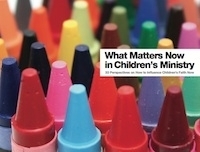 Karl Bastian was one of over 30 contributors to a book compiled by Matt Guevara, Henry Zonio and some friends that asked the question, "What Matters Now in Children's Ministry." You may download the book here. Discuss the book in the Kidology Forum. For information on contracting Karl for writing projects, please contact Karl directly.